As promised we return for our Friday update with progress on the Terriers. The A1 version is now completely modelled (on the outside) and can be seen below in all it's Victorian splendour. The off-side is fitted with the Westinghouse air brake and knowing how much you all love integrated cab head out views we needed to make the Westinghouse detailed enough for close inspection. We may have gotten a little carried away! With the A1 complete it was time to rebuild and replace the parts needed to make the A1X version. 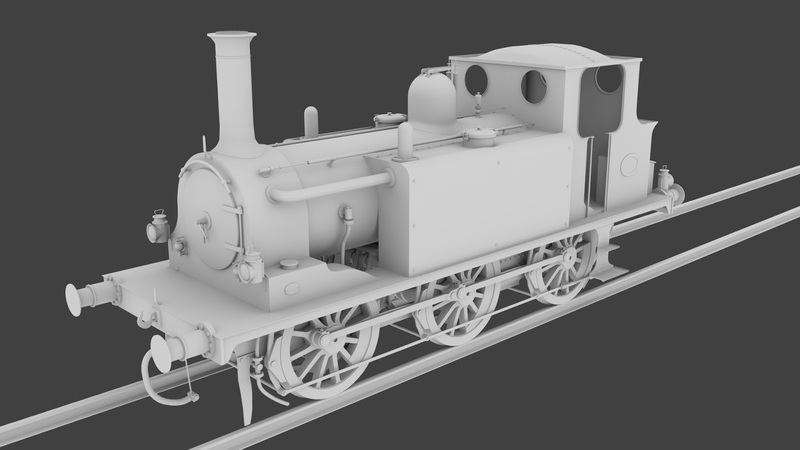 There are quite a few changes but the most obvious is the new boiler and smokebox which also meant moving the sanding boxes as these were built into the A1 front wheel splashers. Interestingly the Isle of Wight modified A1X's (as opposed to those modified at Brighton) retained a version of the combined splasher/sandbox but still had the updated smokebox and saddle. The A1 as built is a very fine looking engine and has very clean lines to it. However once they upgraded the boiler to the Marsh version for the A1X and started to add additional pipes we think it lost some of that Victorian style and started to look more like a contemporary engine. 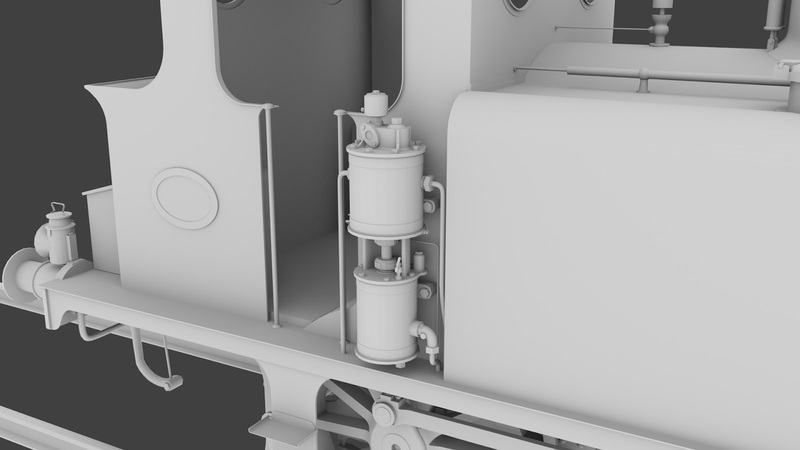 Seen here in the completed A1X model which has the replacement boiler and smokebox, new sanding equipment and the new injectors and vacuum brake that have created so much additional pipework on the top of the boiler and tanks. So that's the external A1X model completed as well. Next week we'll be looking at some of the many options and alterations that were made including the aforementioned IOW splashers and a whole bunch of modified bunkers. Will these be available for Train Sim World as well? We have no idea when we'll be developing for TSW as yet. As it appears that the initial release of TSW is aimed purely at a modern day USA route there seems little place for our locos. Once there are places to run historic and preserved UK steam locos then we'll decide how we are going to proceed. For now due to its huge library of routes and stock we think there is still quite a lot of mileage in TS. The Westinghouse pump looks really good,looking forward to getting it when it's released. Didn't the Brighten modified A1X engines have their coal bunkers fitted with coal rails to double the coal capacity similar to how the IOW modified ones had lengthened coal bunkers for increased coal capacity? They did indeed. K&ESCR ones had theirs raised in height as well, and also had bars on some. We should be showing off the options next week. GWR 4200/5205 and GWR 7200 Out Now!